Maxon Motor Australia is partnering with National Instruments on a strategic collaboration to highlight mutual areas of interest in the field of robotics. Maxon and National Instruments complement each other in advancements made in their respective areas of expertise, providing designers with state-of-the-art hardware and software solutions for developing new robotic products and applications. Maxon and National Instruments are conducting joint seminars in Sydney on 5th May and Melbourne on 12th May. These seminars are structured to educate customers about Maxon Motor and EPOS2 DES electronics products with Compact RIO and LabVIEW. NI and Maxon are working together to integrate the high productivity of NI LabVIEW graphical software and the high-precision drive systems of Maxon Motors so that robotic specialists do not have to assume the integration workload. 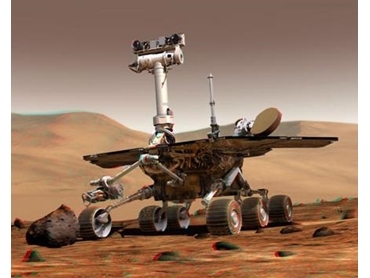 Notable robotic applications driven by Maxon motion control products include the Mars Rover by Jet Propulsion Laboratory, the Da Vinci surgical robot by Intuitive Surgical and DARwin, the humanoid robot developed at the Robotics & Mechanisms Laboratory at Virginia Tech University.